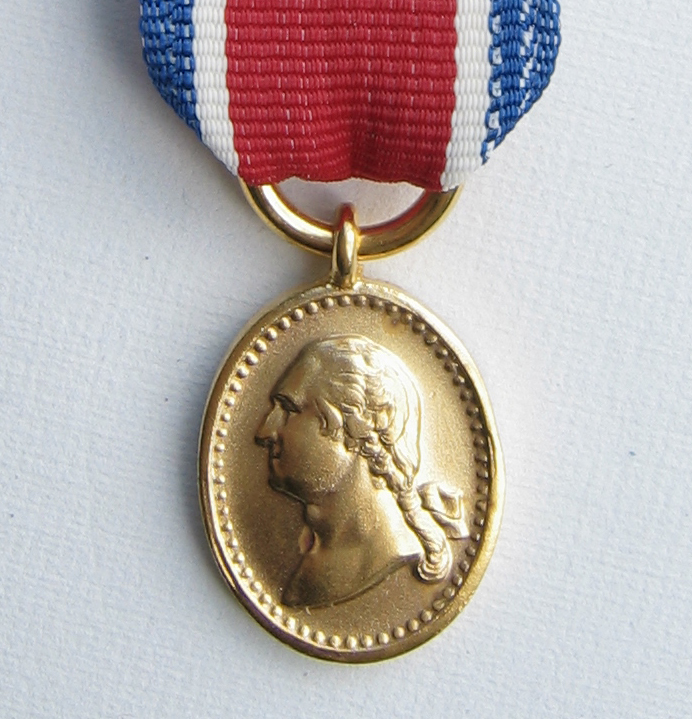 A candidate for Hereditary Membership in the Order of Washington must be approved by the Council and must be lineally descended from a man or woman who served during the lifetime of George Washington, from February 22, 1731/2 to December 14, 1799, as a soldier, sailor or civil officer of the several Colonies or States, of the confederated colonies or of the United States of America or as a recognized patriot supporting or providing material aid to the cause of American Independence. Active Members, other than Honorary Members, may suggest eligible friends for membership, and each Active Member, other than Honorary Members, may in writing designate a qualified associate as hereditary successor, thus making two ancestral representatives at one time in the same family. (a) The official colors of the Corporation shall be red, white, and blue displayed side by side (lengthwise) on the ribbon, and as may be deemed appropriate incorporated elsewhere in the insignia and printed matter. (b) The official insignia of the Corporation shall be such as may from time to time by authorized by the Chancellor and may employ any appropriate design. (c) Standards and Flags of the Corporation shall be such as may from time to time by authorized by the Chancellor and may employ any appropriate design.